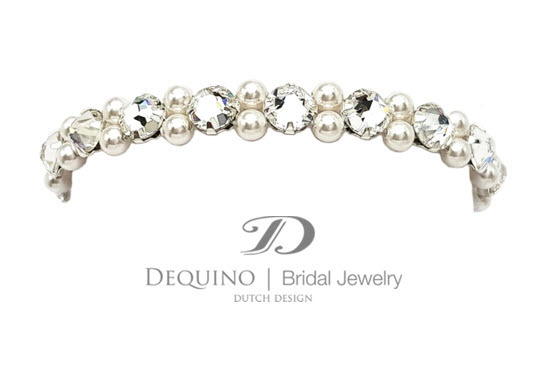 Dequino’s bridal jewelery is made with stones, cut crystals and Swarovski pearls and all ornaments are nickel-free. The jewelry is designed in the Netherlands and made by hand, so adjustments and short delivery times are also possible. Dequino bridal jewelry are also a beautiful addition to any outfit after the wedding and has an emotional value because you have worn the jewelry on one of the most special days of your life. Quote from Dequino: “Our vision, the most beautiful thing in the bride is to bring up. Look for the entire jewelery line at www.xsasashop.nl.